I am a full Prof. of Computer Science at the Berlin School of Economics and Law, with more than 30 years of research and teaching experience. Co-Founder of the AGI Sentinel Initiative, AGISI.org, "dedicated to understanding intelligence in order to build beneficial AI and risk/benefit analysis tools to monitor the social and economic consequences of AI to help improve the well-being of all humanity." Currently focusing on Artificial Intelligence, Robotics, Software Engineering methods and techniques, and Computer Science education. See my research interests for more. I was born and raised in Cuba. Germany is my second homeland since 1999. Long-distance runner, avid reader, Yogi. 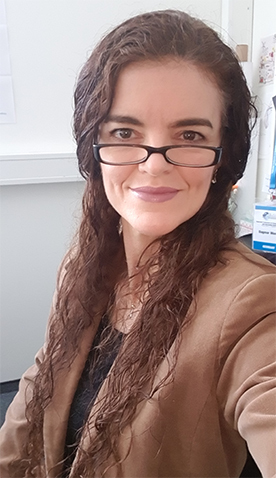 Ph.D. Computer Science (Dr. rer nat. in Informatik), Agent-Based Configuration of (Metaheuristic) Algorithms (in English), Humboldt University of Berlin, Germany (2005). M.Sc. Computer Science, Havana University, Cuba (1998): Implementation of Evolutionary Techniques and Design of Intelligent Agents for the Mathematical Modelling of Chemical Processes (in Spanish). B.Sc. Mathematical Cybernetics (Best Thesis Award, student event), Havana University, Cuba (1992): Expert System for the Parameter Estimation in Differential Equations (in Spanish). I took this picture when I visited the amazing Bletchley Park on March 4th, 2016. 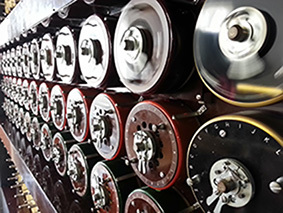 It is a side view of a working Bombe with trios of drums that are replicating the behaviour of the rotors in an Enigma machine. The security guard was very kind; he let me enter the restricted area to take a close-up picture of a loud, real Bombe! Not only the breathtaking place but also the stupendous, informative, and historical exhibitions impressed and touched me very deeply. For example, there is much about Alan Turing, the father of Artificial Intelligence (my field of specialisation) in Bletchley Park. Personal belongings, publications, lots of information about both his life and research. He and Gordon Welchman designed the Bombe. That was more than 70 years ago. Compare to the computing power of mobile processors we now use in everyday life! 10/2003 - 12/2003: Scholarship from the Berliner Programm zur Förderung der Chancengleichheit von Frauen (Berlin Program to Promote Equal Opportunities of Woman), Berlin, Germany. 10/2002 - 09/2003: Scholarship from the Rosa Luxemburg Foundation. 04/2000 - 03/2002: Sandwich-Scholarship from the DAAD, German Academic Exchange Service. 07/1996 - 01/1997: Study and research semester, Simón Bolívar University, Caracas, Venezuela, with travel grant from the Third World Academy of Sciences (TWAS), Italy. 1995: Annual Prize to the Best Scientific Result on the Application of Computer Science (with coauthors), Havana University, Havana, Cuba. 1994: Annual Prize and National Prize to the Best Scientific Research (with coauthors), Ministry of High Education and Academy of Sciences, respectively, Cuba. 1993: Distinguished Researcher Award, Havana University, Havana, Cuba. 1993: Annual Prize to the Best Scientific Research Group (with coauthors), Havana University, Cuba.